There's no legal gray area when it comes to hemp, according to Ada County Prosecutor Scott Bandy. BOISE -- In Idaho, there's no legal gray area when it comes to hemp, according to Ada County Prosecutor Scott Bandy. The plants are illegal, Bandy said, handled the same as a marijuana plant shipped into or across the state by a drug smuggler. Anyone caught with it will face the same consequences - including mandatory minimum sentences for large amounts - as a person arrested in a pot bust. Changes to the 2018 Farm Bill has created confusion for transport companies, truckers and hemp farmers across the United States. The change to the federal Farm Bill signed into law by President Donald Trump Dec. 20, 2018 switches hemp from classification as a controlled substance to a legal agricultural product, provided it contains less than .3 percent of THC, the chemical compound that gives marijuana its psychoactive properties. Hemp is a variety of the Cannabis sativa plant grown specifically for its fiber, which is used to make rope, fabrics, plastic and other products. Unlike cannabis grown to be smoked or ingested either recreationally or as medicine, hemp can't get someone high due to its much lower THC levels. That doesn't matter, Bandy said. Under Idaho law, every part of a cannabis plant except the stalks, and any plant that contains any detectable amount of THC, is classified as marijuana - a Schedule I drug. "Marijuana" means all parts of the plant of the genus Cannabis, regardless of species, and whether growing or not; the seeds thereof; the resin extracted from any part of such plant; and every compound, manufacture, salt, derivative, mixture, or preparation of such plant, its seeds or resin. It does not include the mature stalks of the plant unless the same are intermixed with prohibited parts thereof, fiber produced from the stalks, oil or cake made from the seeds or the achene of such plant, any other compound, manufacture, salt, derivative, mixture, or preparation of the mature stalks, except the resin extracted therefrom or where the same are intermixed with prohibited parts of such plant, fiber, oil, or cake, or the sterilized seed of such plant which is incapable of germination. Evidence that any plant material or the resin or any derivative thereof, regardless of form, contains any of the chemical substances classified as tetrahydrocannabinols shall create a presumption that such material is "marijuana" as defined and prohibited herein. The federal changes don't overrule Idaho's marijuana law, according to Bandy, meaning that hemp will still be treated as an illegal narcotic. "We don't believe it affects Idaho law," Bandy said. "It does not preempt state law." RELATED: Hemp vs. Marijuana: What's the difference? The only way someone caught with a hemp plant in Idaho would escape prosecution would be if the hemp had zero percent THC - not the .3 percent or below allowed in the federal standard - something the prosecutor said was "very unlikely." 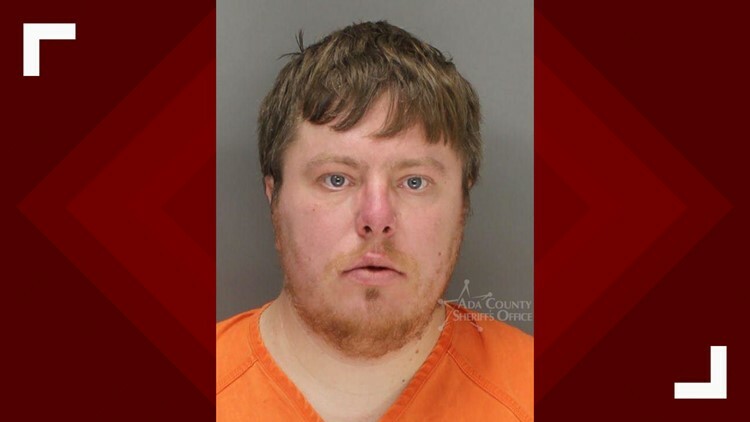 The Canyon County Prosecutor's Office and Idaho State Police are operating under the same standard, spokesmen for both organizations told KTVB. The Idaho Attorney General's Office is not weighing in on the disconnect between state and federal law one way or the other. The debate has become very real for a Portland trucker pulled over for a random commercial vehicle safety inspection east of Boise Thursday. 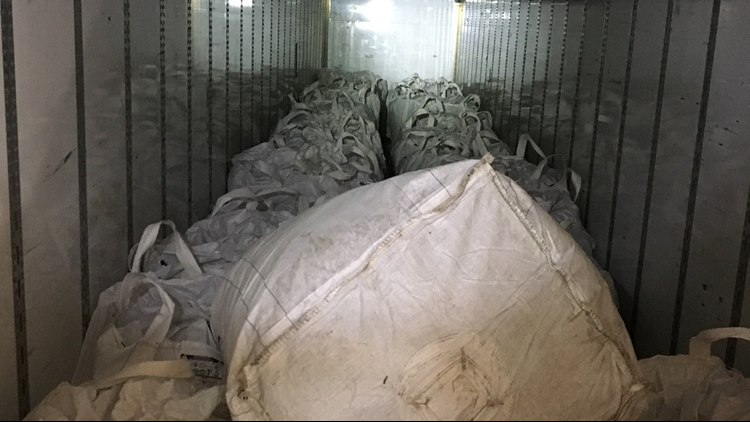 Denis V. Palamarchuk told Idaho State Police troopers he was hauling 31 bags of commercial hemp, and produced the bill of lading - an official detailed shipment list - to prove it. But ISP took a different view of the cargo, opening one of the bags to find "a green, leafy substance which appeared to be marijuana," according to a press release from the agency. After both a field narcotic test kit and a drug-sniffing canine team produced a positive alert on the truck's contents, Palamarchuk was arrested on marijuana trafficking charges. Idaho State Police touted the 6,701 pounds seized from the truck as the largest drug bust in the agency's known history. Palamarchuk was booked into the Ada County Jail, then released Monday on a $100,000 bond. The trafficking charge carries a mandatory minimum of five years in prison. The plants seized from Palamarchuk's semi truck were sent to a laboratory for testing. But even if the results of the tests reveal the substance is hemp, Bandy said, Palamarchuk is not off the hook - even if he and his employers had believed the changes to the Farm Bill legalized possessing and transporting hemp. "It is up to them to understand the law, there is no good-faith exception," he said. "It is still illegal in Idaho and they should do their research." Bandy said the prosecutor's office plans to take hemp possession prosecutions on a case-by-case basis, but warned that hemp-haulers traveling across the Gem State en route to a state with less stringent laws will not catch a break for not knowing Idaho's standard. "Ignorance of the law or misunderstanding of the law does not weigh very heavily" as a mitigating circumstance, he said. The Idaho Legislature, which is currently in session, has the opportunity to change hemp laws. A pair of Republican lawmakers - Sen. Abby Lee of Fruitland and Rep. Caroline Nilsson Troy of Genesee - have drafted legislation they say would bring Idaho's regulations in line with the newly-amended farm bill - not only legalizing driving across Idaho with a load of hemp, but freeing up area farmers to produce the crop as well. 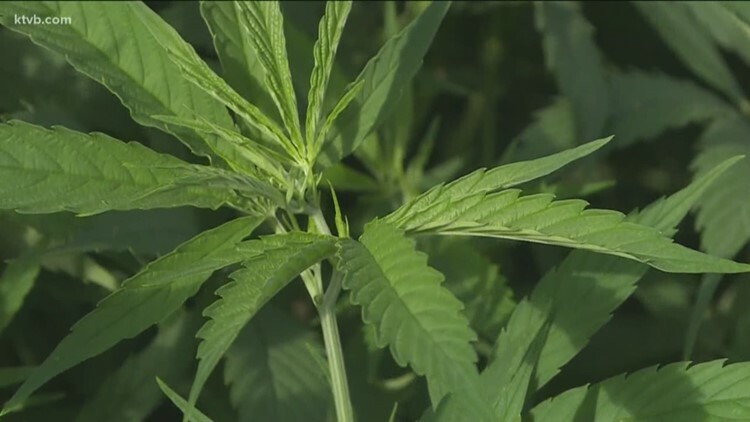 The legislators say they plan to introduce the hemp bill next week. For a look inside a legal marijuana farm operating less than a half-hour from the Idaho border, check out KTVB's exclusive coverage Thursday night on the News at Ten.